Arriving in Cape Town. 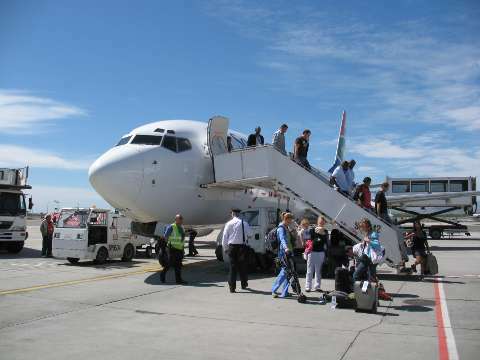 The flight from New York was more than 15 hours long, then another 2 hours going from Johannesburg to Cape Town. With customs and waiting at the gates, a very long day. Here are the intrepid Tobey travellers on top of Table Mountain. It's very distinctive skyline made it easy for navigators to know their location, so this is where the original Dutch settlers built their colony. It's faint in the photo, but Table Bay and Cape Town are in the background. 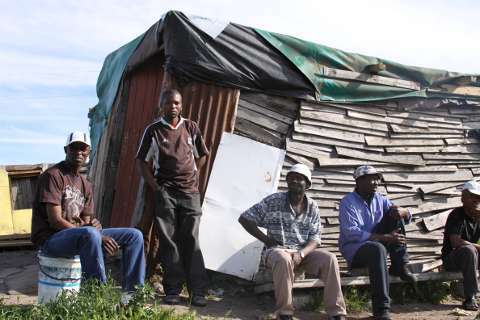 We took a tour of a shanty town, or township, outside of Cape Town. There are hundreds, maybe thousands of little shacks like this filled with people. Unemployment is around 60 percent here, but even these guys were friendly. Walking by, I asked if I could take their pictures and got thumbs up. 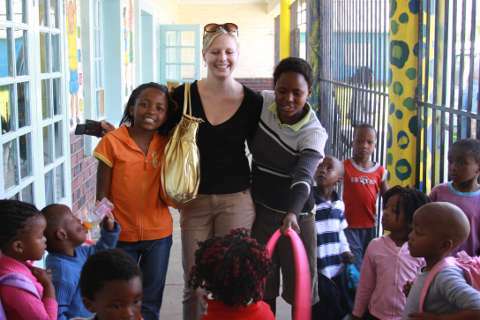 My sister Christina with some school kids in the township. These kids swarmed all over us as soon as we arrived. They live in shanties, and love to get their pictures taken and to see themselves on the LCD screen. They grab your hands and want to be picked up or swung around. Wonderful place to visit, would be even better to stay and help. 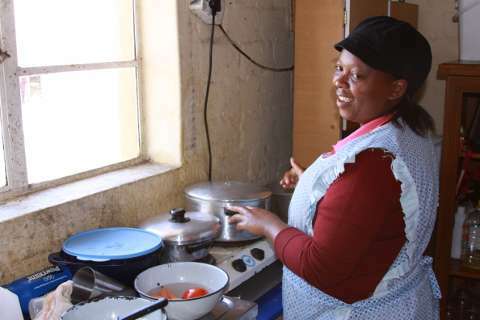 This woman invited us into her home in the township. Originally, these small apartments housed only men, who were migrant labor under apartheid. Now, large families live in the two bedrooms. Everyone was very friendly, and happy to have their pictures taken. 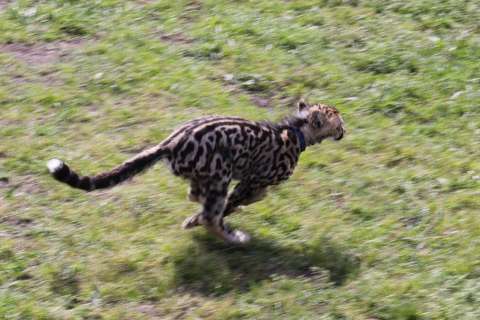 A cub at the Cheetah sanctuary. He's not after me, just just wants to join his two brothers! 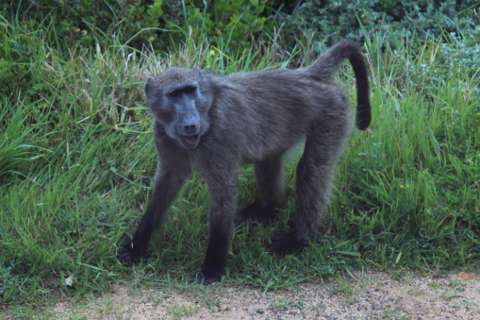 There are road signs warning drivers of the Baboon danger. I shot this fella through the window of the bus, right on the side of the road. They like to raid cars, and even steal backpacks off the hikers. Ostrich chicks shot through the window of the bus. 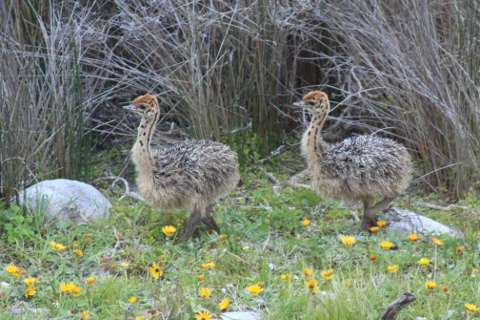 We passed an ostrich farm earlier, but these guys and their nearby parents are wild and living in the Cape of Good Hope park. Abrood is usually half a dozen or more, but this family was Mom, Dad and two chicks. 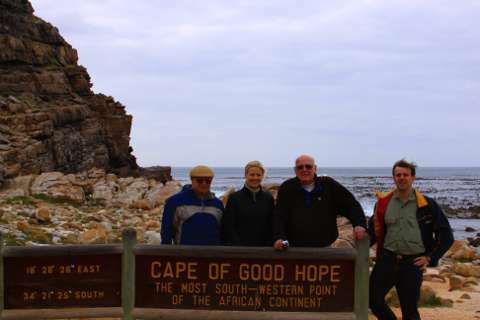 Here we are at the most South-Western point of Africa. 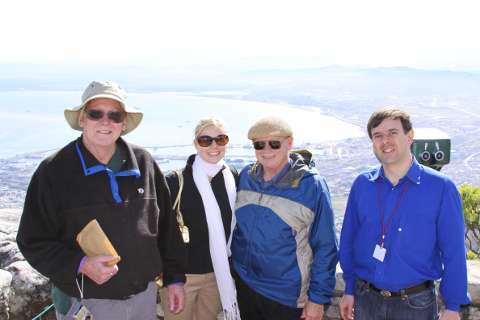 Behind us is 'False Bay', which tricked ship captains into thinking they had rounded Africa. The Southern most point is just the other side of the bay. The first European to sail around the cape got caught in a storm off Namibia. His little ship was blown far to the south, and sailing north he encountered this cape, which he named the 'Cape of Storms'. 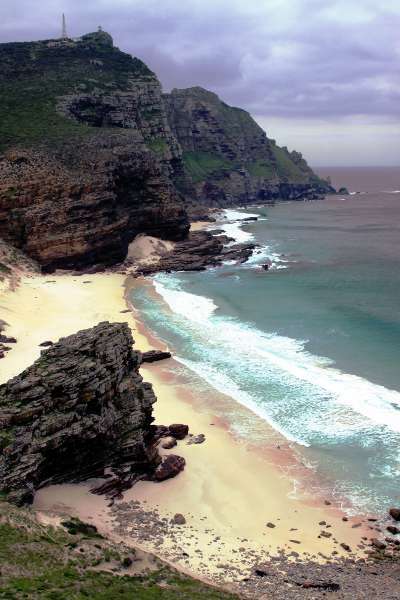 When the Portugese crown wanted to send other ships to find a route for the Indian spice trade, they did not think that name would encourage the navigators and captains, so they renamed it the 'Cape of Good Hope'! 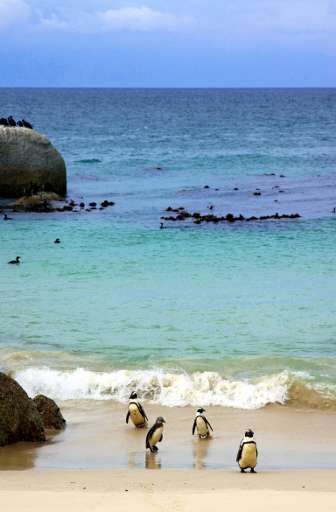 These little guys are part of the Boulder Beach colony of African penguins. I don't know if four are enough to make up a raft of penguins, but there are dozens just behind me as I took the picture. It was warm and comfortable here, not like 'March of the Penguins' at all. 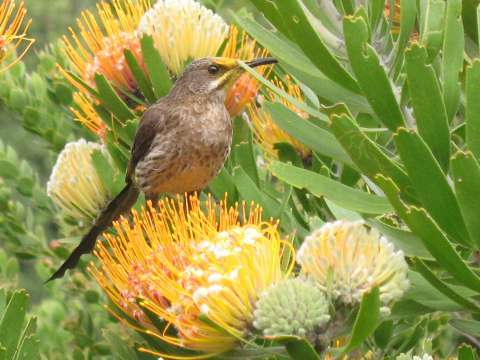 Don't know what kind of bird this is, but he's on a protea flower. We're in the Kirschenbosch gardens, where native plants are preserved. This was our last stop before heading to Kenya!